From the heart of an 11 year old young man. These are songs that my 11 year old son wrote himself and brought to Mister and I. I held back tears when reading these. I will cherish and keep these papers forever! I pray he continues to write these songs! Oh God we come and sing for your glory today. Where we go. Jesus is my savior and lord for all. No one can stop him from the spirit of God. Yeah (repeat 2x). Jesus is my savior for me and you. Oh oh oh. The flowers in spring will shout your name (echo repeat 2x). There’s no other God but you. You are the spirit in us. Jesus is my savior. Am for you (repeat). We love you lord of all God. There is a fire spreading in my heart. He’s love is like a foreign my heart. My heart is on fire because of my God is with me (repeat 2x). It’s like my heart is melting with God. Yeah (repeat). He is the only one we shall worship. Who loves us!! And his love never fails on me. Yeah. Oh oh oh ohhhh. Because there is fire in my heart (repeat). Yeah. In God we trust. It’s so great and powerful. Your name is great and your song is sung. In the name of Jesus there is power (repeat). We are a flower blooming in the sun where your spirit holds in place. For everyone believes in you shall have eternal life with with you in heaven. Because your our God. We are a flower blooming in your hands of Jesus Christ. Dear God thank you for our song. Thank you for listening to it. We are flower blooming for you. Now you can make what you wanted it to be. And we can help you with anything you want us to do. And WE are a flower blooming in your hands. Lord we come and praise you. And we are going to sing to you. Where we go. Oh lord we come from a fire in the ocean. You died for our sins that we made. Ohhohoh (repeat). We come for the fire in the ocean. And you washed our faith and made it new. We praise you with our heart, with our mind, with our soul, and strength. We love you with our heart. Yeah. Oh lord we come from a fire in the ocean. Hallelujah. Praise the lord. Say it loud so he can hear you. We come from a fire in the ocean. We will for real to come with you to heaven (repeat). We are a fire in the ocean. Life is funny sometimes….well all the time if we really look at things and how it all turns out. We find people we click with and want to do life with them. Those relationships either continue or are broken for whatever reason. Usually when they are broken, they stay broken. Too many times it’s over something so trivial and neither party wants to swallow that hard pill….pride. Pride is not our friend y’all! Sometimes those relationships are broken for good reasons and they should stay broken. Whatever the reason your relationship is broken, really look at the problem and be honest about it with yourself. It’s so much easier to hold a grudge than it is to mend that tear in the fabric of our friendships. In reality, that’s not what we are called to do. We aren’t told to hold grudges or leave things messy. When you lose a friend and there’s an opportunity to heal and restart, take a moment and ask yourself (and put yourself in their shoes) if it’s something you can move past. Most of the time it is. People will do is wrong, lie, cheat, steal, and hurt us to the core. That is no excuse to not forgive. Pray about your particular situation and listen for your answer. Sometimes we have to do what we’re supposed to do instead of what we want in order to be obedient to Him. I was actually struggling to find something to be thankful for all day. It just wasn’t a very good day here in our house. We had moments but overall, I’m glad it’s bed time. I was originally going to say that I was thankful for the rain we are getting today. We live in Texas and are currently in a severe drought, stage 5 to be exact. So when we get rain, everyone is thanking God for it. Then I got to thinking that I really needed to look for something that might not be so obvious, something that wasn’t right in my face. Everyone had had gone to bed and it was close to 9pm and still hadn’t found something to write about. And then I was playing with Emma, just her and I. And I looked in her eyes and thought, man am I so thankful for you! I wasn’t always so excited that this baby would be here. I didn’t want this baby to be here. now when I look at her, I can’t imagine my life without her. She is only 5 months old and it feels like she’s been much longer than that and other times it feels like she just got here. The majority of the time (when I have those moments to reflect) it feels like she was always supposed to be here. And I know that she was in His plans the whole time. I love her so much it hurts sometimes. I cherish her a bit more than my other babies because I feel like she is my last baby. I probably won’t have these moments again. I know that I need to soak them up as much as I can. I am so thankful for this baby that I cried about when I found out that I was pregnant with her and wished that God would give her to someone else (true story. I even told God who I wanted him to give my baby to). I am so glad He didn’t listen to me. I’m so glad that He gave her to me. Emma will always be my baby and be my own personal proof that His plans are always better than mine. Today I am thankful that I have started reading to my kiddos every night. We started on the first book of a series that no one had read before. We are now on book 4. Not only do I look forward to this time with them, my kiddos do also. My two year old will ask throughout the day “read?” I love that they are enjoying this. I picked up about 3 books each for the kiddos at the library and told them that when they wanted to read them to do so. They’ve actually been doing it! I help B & C read their books and read Lily her books. I absolutely love reading and books! I have yet to have any interest in getting a nook or kindle. I love having a book in my hand. To turn the pages. To smell the pages of a new book. Those are things that I cannot get from a piece of plastic. I am just thankful to have this time with them every night and that they are enjoying it as much as I am. You all know this hashtag by now, I mean it is the end of November. I think that I always jump on this bandwagon every year. I don’t think there’s ever been a year that I actually completed 30 days. And seeing the lack of posts in my newsfeed by the end of the month, I’m not the only one. They say 21 days makes a habit but I can never make it that far into the month, ha! So, if I don’t finish my #30daysofthanks, does that mean I’m not thankful!? I think we should be thankful for everything, everyday. I know that more people are than aren’t. I understand why it’s more focused on in November. This time of year brings to our attention why we should be thankful for what we have and how great our lives actually are. Our focus kinda gets put on the back burner the other 95% of the year. I can totally see how and why that happens. Life happens. Life gets in the way. Our lives are our bubbles and sometimes the things that happen in our bubble are just so consuming that we forget to look outside our bubble. What happens in my bubble may not be a big deal in your bubble and vice versa. We tend to not be as merry and bright the rest of the year. We don’t put as much emphasize on giving and others the rest of the year. Or maybe you & your family does. I know that our daily events get in the way I/we forget or choose not to focus on it. I’ve got a lot going on in my life daily that I’d rather not think of everyone else’s problems. As harsh as that may sound, it’s true and I know I’m not the only that thinks like this. It’s not meant to be mean or offensive to anyone but it is the truth. Let me be real with you right now. My attitude, words, and thoughts have been anything but thankful these couple of days, almost a week. I see myself being thankful in certain moments or when things go a certain way. I’m seeing that I’m not so thankful when those moments aren’t going my way or something unexpectedly happens that throws a wrench in my plans. I have been spewing words of anger, hate, and just plain nasty words to my family. This is not ok. This isn’t me being the best me that I can be. This isn’t me setting a good example for my children. This isn’t me being a safe/happy place for my family to enjoy. I’m wallowing in my own self pity and getting so mad about something that won’t even matter next week. And if it will matter next week, it’s not even a big deal. I am not liking this side of me at all. I feel awful and horrible about how I’ve been treating my family and the words that have been coming out of my mouth. I am ashamed and would be embarrassed if anyone overheard me. And so because of this, I am giving myself a challenge. You can join me if you’d like, you can help hold me accountable, you can just simply read my posts, or you can do nothing. All are acceptable and perfectly fine for you. Starting January 1, 2015 I am going to be posting what I am thankful for every day for 365 days. It seems like a big task and. Bit overwhelming. I mean, I can’t even post for 30 days what I’m thankful for, what makes me think that I can do 365? I have no idea! But I am going to challenge myself. This is something that I am doing for myself and no one else. I’m not proving anything to anyone. The one reason I am making a public statement is, mostly, for accountability. Plus, I know someone else out there will need to check their attitude & words also. I’m not the only person out there having this negative nancy on their shoulder. Im putting a stop to it before it gets too far out of hand. I’m the only person that can control this. I’m the only person that can make myself change. I cannot do it for anyone else but myself. I’m sure that by the end I will be a happier person. Will I have days where I don’t want to find the good and be thankful for something? Yes. Will it be hard to come up with so many things? Sure. Will I miss a day? Or two? Probably! In the end though, it’s not about how many days in a row I did this. Or how many days in a row I missed. It’s a heart thing. It’s a happy heart thing. It’s always about the heart. Good and evil. It’s a heart and mindset kinda thing. Let’s change our hearts & minds so that we can become the change we want to see I our spouses, kiddos, family members, friends, and communities. Sounds super cheesy, I know. But I also know that it’s true. I have said this a few times on the blog, on Facebook, and to friends & family but it still blows my mind that I will be giving birth to my 6th (!) child some time this month. 6 little people that depend on me to help them make it through life…alive! I have to teach them good. I have to make sure they aren’t lumps on a log when they grow up and leave the nest. But mostly importantly, I have to make sure that I don’t lose my mind in the mist of all this! It probably won’t sink in 100% until I am holding our 6th child. The number 6 just blows my mind. I’m not sure if it’s because this is a number I never wanted nor thought that I would have or what. As much as it upset me when I found out that we were having another baby, I cannot express how happy & excited I am to bring this little one into the world! I cannot wait to see what he/she looks like, what kind of personality it will have, and if this baby will be a Landon or an Emma. What will this kiddo bring to our family? It’s very obvious that our lives will changing adding another family member but I just pray that it’s for the best. I pray that we guide all our children in the right direction. I pray that we make the changes that we need to be able to what God has called us to do. I still wake up and can’t believe that when I look down, I have a pregnant belly. Some mornings I wake up and forget that I am pregnant until I touch my belly or get up. It amazes me that I went 20 weeks without knowing that this little person was growing inside me. It amazes that this life has been given to me and entrusted in my care. Out of everyone God could have chosen to be his/her mom, He chose me. I will never know the answer to this question, nor does it even matter at the end of the day. What matters is that I do my best every day to provide this child (and all my children) what he/she needs. Even though it was a rocky start between me and this baby, I am so very thankful for this baby. I know that there are plenty of women out there that would switch places with me in a heart beat. This baby has taught me so much about my faith, friends, and God & he/she isn’t even born yet. I love this baby and cannot wait to see his/her squishy little face in the very near future! Only 6 more weeks?! This is crazy! I know that I say this every week but I cannot believe how fast this is all going & how quickly D day is coming! I was hoping that the days would go by slower….no such luck! So let’s recap week 33. I turned 34 weeks on 06/05/14. I was told last week that I have a waddle. I didn’t feel like I was waddling and don’t watch myself walk, so I wouldn’t really know. But I guess it is at that point in pregnancy where I would have one. No biggie to me though! I have noticed that my belly seems to be a bit bigger but not by much. Baby has been more active at night when I am laying down. His/her movements have become more uncomfortable also. I don’t know if this is because the baby is trying to turn (pretty sure baby hasn’t done this yet) or if it’s because baby is just running out of space. Who knows & it doesn’t really matter but it’s just something that I have noticed. 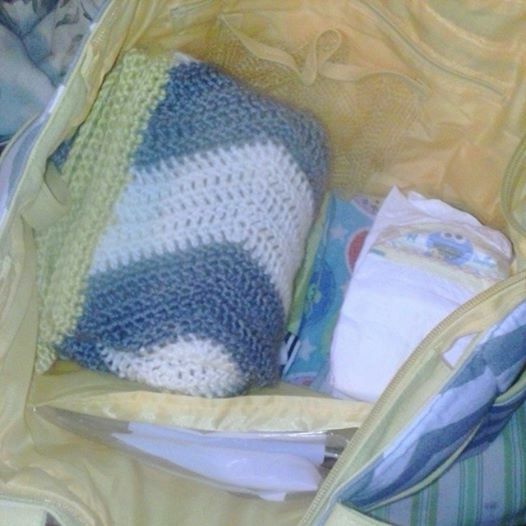 I have Baby W’s bag packed (for the most part). I will need to add things to it as it gets closer and/or if I can think of anything else to add. Knowing me, I will probably rearrange things & repack it a few more times. Usually this has been done for at least a month now….definitely been slacking! Baby seems to be getting the hiccups more often or maybe I am just noticing them more. I usually only feel/notice them at night. I have not been having any braxton hicks or even contractions. I’ve still been walking almost everyday but if it’s too hot outside, I won’t venture out. It just gets too hot here some days. My next doctors appointment is this Friday the 13th. I will be having an ultrasound at this appointment as well as getting checked. I am hoping that with the ultrasound it will show that the baby has turned. I really don’t want to have to worry about this again. I know that I have at least a month to get baby turned if need be but having tried during my last pregnancy and nothing worked….it’s just not something that I would like to go through again. We shall see on Friday though! One of my best friends has pretty much taken care of all the details for me. She already has plans for our other kiddos. Which is very helpful for us! She is also going to come up to the hospital after baby is born and take some pictures. Which I am totally excited about because we have never had pictures like that before. I also have all 5 kiddos bags packed for ‘go time’. They aren’t allowed to go into these bags now that they are packed. It’s all set, they would just need to put shoes on. I still need to start on my bag but I will probably do that in the next week or 2. Whatever Mister will be bringing will probably be thrown into my bag when it’s time. That’s just how he rolls. No biggie to me though since he’s low maintenance and doesn’t want a ton of stuff anyway while we are there. I think this is all I have to update you on. I will do my 35 week update (recapping 34 weeks & my appointment) on Friday or that weekend. I am thankful for strangers turning into acquaintances. Acquaintances that turned into friends. Friends who turned into family. We have never had friends like we have friends now. We have never had friends who want to take our kiddos and spend time with them. We have never had friends who went above & beyond just because they loved us and wanted to. This is a new concept for Mister and I. We have also never lived close enough to family where they could watch them or take them if they wanted to whenever the grandparents wanted to. The closest is now with my mom & step dad. They live about an hour away (which is the closest we’ve lived to family in many years) but because of busy schedules on both sides, it’s been hard to get together as often as we would like. When our friends say that they want to take our kiddos or even just 1 kiddo, I am always a bit hesitant. Not because I don’t trust the person or because I don’t want to share my kiddo but because I don’t want our friends to think it’s something they have to do or anything along those lines. I know they wouldn’t offer if they didn’t want to. Like I said, we have never had friends who wanted to take our kiddo and spend time with them or keep them overnight. I hope I am explaining this the way that I want/feel & it comes across the way that I want it to. I am so thankful for friends like this in our life. Not only does it give me & Mister a bit of a break but (most importantly) it’s building relationships with these special people with/for our kiddos. I know that they so enjoy their times with these people & look forward to their time with them. Even if it’s just playing at the park with them. I didn’t have this growing up as a kiddo and am so thankful that my kiddos have this in theirs. I will never be able to express how thankful I am for these friends that have turned into family. It may not take a village to raise a kiddo but it does take one to love a kiddo. I cannot be everything to my kiddos all the time & in the ways they need/want. Yes, I am their mother but sometimes they need someone else other than a parent. 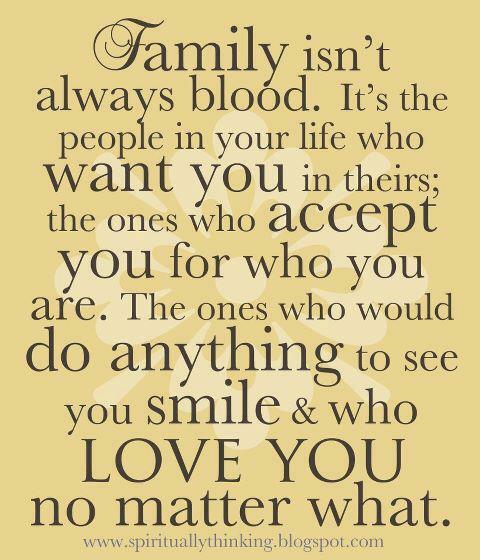 If you have this kind of circle of friends & family in your life, please do not take them for granted! Not everyone is as fortunate to have this circle surround them with love. Tell these people who thankful you are that they are in your families life. Tell them you don’t take them for granted. Tell them they are irreplaceable. Love these people like they are family. Terrified to be completely honest with you! I was very content with having 5 kiddos and being 30 years old. My husband has always I wanted 6 but I hadn’t jumped on that bandwagon yet. I have always told him that I’m done having babies at 30. Not pregnant at 30 or delivering a baby at 30…done at 30. Well it seems to me that God has a different plan for us than I had. Doesn’t seem to be that way all the time though!? You plan things out and then God comes along & says, nice try but let’s do it my way. Which I know deep down in my heart, is not only the right way but the only way I need to live my life….for Him and His plan/glory/kingdom. Not only am/was I terrified but as soon as I saw the blue lines I knew what kind of feedback/reactions I was going to get from certain people. I knew who wasn’t going to be happy/excited & who would be. I didn’t want to tell anyone & just wanted to cry. I promised I would send a picture of the test to one of my best friends as soon as I found out. I’m so thankful for her and how she was excited & made me laugh when I didn’t want to. Isn’t that what besties are for!? I love babies, my babies, other people having babies, being pregnant, and watching others along their pregnancy journey. This is the way life works. Went to my weekly bible study lesson & it was a smaller group than normal (in the end I was thankful for that). We were talking about what our homework was and the leader looked at me & said “What?” I hadn’t said anything. She said it looks like God is telling me to say something & I’m telling Him no. Ok, this woman! She knows something every time! I love her to death and think it’s truly amazing how God speaks to her and she listens. So thankful for her. I start to cry and tell them I’m pregnant. They are all so excited & happy for our family. God knew I needed that! It was encouraging to hear them speak truth to me when all I wanted to do was mope & feel sorry for myself. I should be confident in what God has given me (this new life/baby) and not be weary of what other people think. Who cares!? I perform for an audience of 1. If I am pleasing Him, then nothing, absolutely nothing else matters in this world. How dare I allow others to steal my joy & excitement for this new life I have growing inside me!? I must say that it’s much easier for me to type this all out than to have this confidence 100% of the time. I’m not saying I don’t 100% believe it because I absolutely do! I am human and I still question things and will fall back some times/days. That is 100% ok! Just know that I won’t stay in that place of fear/worry. I will get back up and know that He has equipped me/my family with what we need for this baby already…. even if I can’t see it yet. Don’t be afraid of others with what God has given you. Go forward and know that He is with you every step of the way. When you go through a situation that is tough and, somewhat, out of your control, you aren’t always sure if what will happen & you will stick by your side. Over the last several months our family has been blessed beyond measure from our loved ones & from people we don’t know and/or anonymous people. It’s amazing what and who God put a in your life no matter what your circumstances are! Thank you will never be enough to everyone who has helped us out! From everyone who just simply prayed for us, to those of you who loved on our kiddos for a few nights, to those who gave up your space for us, and everything that was done for/with us…..THANK YOU! It’s something we could never pay in money. Yet I know that if the opportunity came where someone needed our help, we would be there! That would be our repayment. Thank you to everyone for their love, support, prayers, and encouragement! Visit Trel's profile on Pinterest. For the love, stop saying sorry!